Harlem Through My Eyes is an exploration of the past and present through the eyes of the people who live and work in the world famous Harlem community. This project will culminate in May of 2015 with a multi-media exhibit, documentary and photography book. 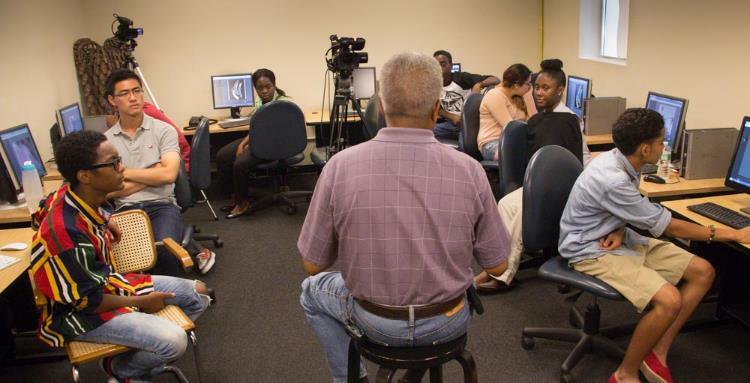 It is a production of the Digital Media Training Program in Harlem and is funded by a grant from the West Harlem Development Corporation and in-kind services from My Image Studios LLC and Media Genesis Solutions LLC. Click the photographs below or the headings above in order to navigate the website. 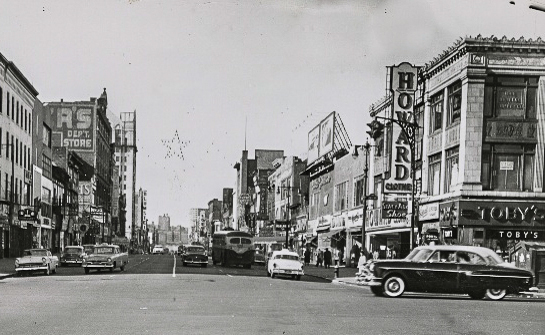 125th Street and 7th Avenue 1950s (Photo courtesy of the New York Public Library/Schomburg Photographs and Prints Division). Emperor Haile Salassie I of Ethiopia and the Rev. Adam Clayton Powell, Jr. (Photo courtesy AP Photos). Jazz musician, composer and arranger Duke Ellington (Photo courtesy of AP Photos).